The first monochrome outfit in this post is my most basic and casual one I think. Ummm.. actually, they are all pretty casual, because let's face it, I am not about that life. It consists of a basic black t-shirt and cardigan from Primark paired with this black and white striped tube skirt ( is that what they are called? Don't ask me, I know nothing about fashion!) from Newlook. Now although I love my DSLR very much and the quality of it, is superb! I kinda wish it didn't pick up all the dust on my skirt, in the second photo- kinda ruins it, don't you think? The shoes I wore with this outfit are these basic flat pumps from BHS. You will notice that throughout this post, all the photos of shoes are rubbish! If you are a fashion blogger, please let me know how you take semi-decent pictures of shoes? OUTFIT #2 WHO LET THE DOGTOOTH OUT? I love houndstooth/ dogtooth whatever you like to call it! I think this skirt, which was from Newlook is seriously one of my favourite pieces of clothing I own. It's really fitted but still comfortable to wear, you can dress it up or down depending on what look you are going for! Today I paired it with this long white sleeve top, from good old' Primark. Not the most warming outfit around but you know fashion over comfort, right? For my feet, I wore my houndstooth/ dogtooth flats which I got from Matalan last year. I love these because they make me instantly feel more stylish and sophisticated. 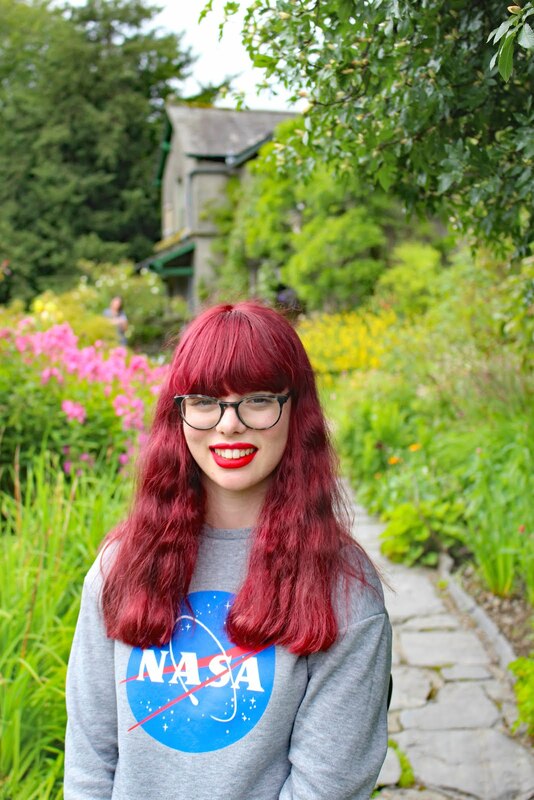 This jumper, from H&M, has won the award for the most difficult piece of clothing to wear and take photos of ever! It took me so many attempts to get this to look right. However, despite that it is a super versatile and comfortable sweater to wear, at this time of year. It totally makes me feel like I belong in prison, when I wear it tough! I paired it with some black skinny jeans from Matalan because I am not cool enough to own Joni's from Topshop. I got sick of trying to take pictures of shoes after the last outfit, so I didn't bother #bloggerproblems. If you were at all interested, I wore some black pumps from Primark. and on that note, I think I will end it here today! Thanks for reading, I hope you enjoyed this post. As I have said before fashion posts are actually some of my favourites to do, so if you have any more suggestions do let me know in the comments below! I loved this post and all the outfits! Please do more fashion posts!! Love this post and your photography is fab, as always! I never end up taking photos of shoes because I cant never get the to look right or I'm not wearing any, ahah! Love how you have names for the outfits, it's so creative and the shoes from the 2nd outfit are amazing, I love them!! Love this post,you are really creative person and the pictures are amazing ! Great post! I love monochrome outfits, so simply yet effective! I live for these fashion posts of yours, you have such a unique way of styling each outfit. 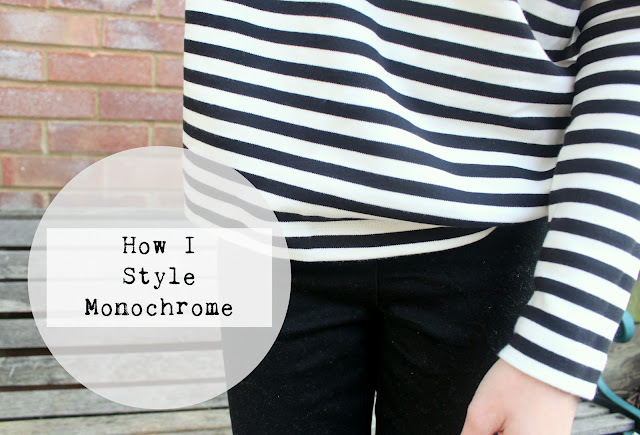 I also love monochrome, especially in winter and you nailed this post! Loving all the pieces, very easy to wear during the day and they look work appropriate too! All I seem to be wearing lately is monochrome and mustard! Loved this post! I'm a lover of dog/houndstooth so that outfit would have to be my favourite. Please do more style/fashion posts! Love how you styled everything, particularly the last outfit. I'm tempted to get a pair of disco pants! I have been loving stripes! But monochrome must be my go to its just so easy. Although there are a number of movies available are free of cost but still, you've got to purchase few movies. Learn more about blog on this site. As an issue of fact you may download an unlimited quantity of movies on find here and never pay a penny.